Drinking energy drinks has been linked to serious health problems that could result in death. While companies who make energy drinks claim they are safe, they put the health of consumers at risk. When people are harmed by dangerous products, they may be able to file a personal injury lawsuit to recover compensation for their medical expenses and other damages. Between 2007 and 2011 emergency room visits that were related to energy drink consumption doubled from 10,068 to 20,783. And there were more than 5,000 poisonings reported to poison control centers in the United States between 2010-2013. More than 40 percent of these incidents involved children. 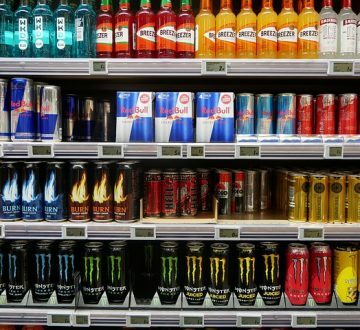 The World Health Organization (WHO) has warned that energy drinks “may pose danger to public health.” Even though these drinks have been studied for safety and approved for sale in the United States, they can have a negative impact on the health of otherwise healthy individuals. Adverse reactions could occur even when individuals have never had a problem before with consuming energy drinks. Many of these products lack proper labeling to warn consumers. What Makes an Energy Drink Dangerous? What is most concerning about energy drinks is the amount caffeine that they contain along with high levels of sugar and legal stimulants. It cannot always be predicted how caffeine will interact with the drinks’ other ingredients, including taurine, guarana, high levels of B vitamins or ginseng. The timing of when an energy drink is ingested may also play a role. Its artificial stimulants can interfere with the body’s increase of natural stimulants in the morning. Cases exist where people who have consumed more than one energy drink have gone into cardiac arrest. Cardiac events have happened when drinks are consumed right before athletic activity. Who Should Avoid Drinking Energy Drinks? The WHO recommends that children do not drink energy drinks. Health professionals recommend that pregnant women, people who are sensitive to caffeine, and those who take certain medications, like Adderall or other stimulants should avoid energy drinks. The Mayo Clinic recommends that healthy adults who drink energy drinks should drink no more than one can a day and keep their daily caffeine intake below 400 milligrams.